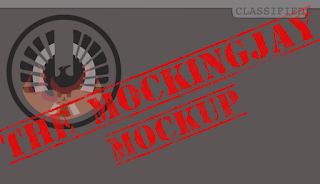 Hi Tributes! 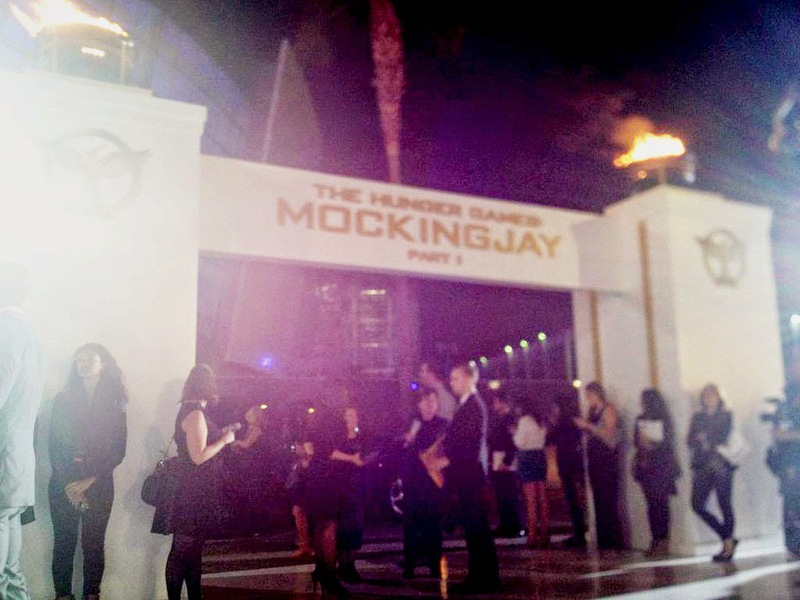 Welcome to the Los Angeles Premiere of MOCKINGJAY - Part I. 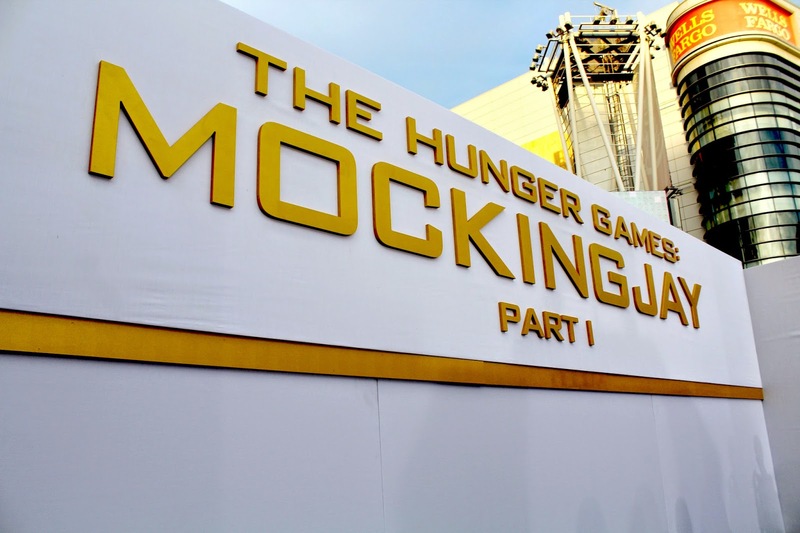 We are seated right at the entrance of the white carpet, guaranteeing first sight of the Mockingjay cast! 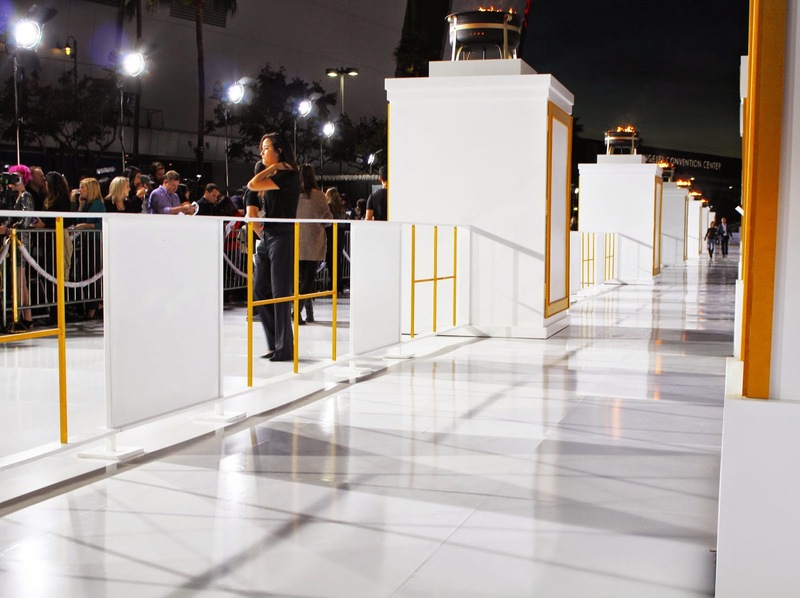 The entrance to the "White Carpet"
While waiting for the celebrities to start making their appearance we are joined by some Peacekeepers. The first sighting of the night belongs to one of the newest (and also one of my favorite!) 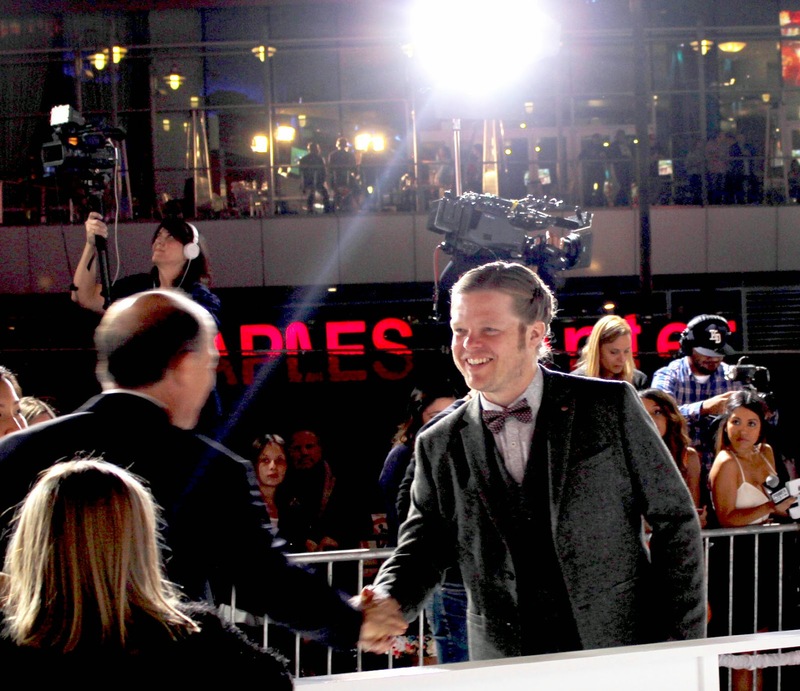 cast members, Elden Henson who plays the Avox, Pollux, in the film. 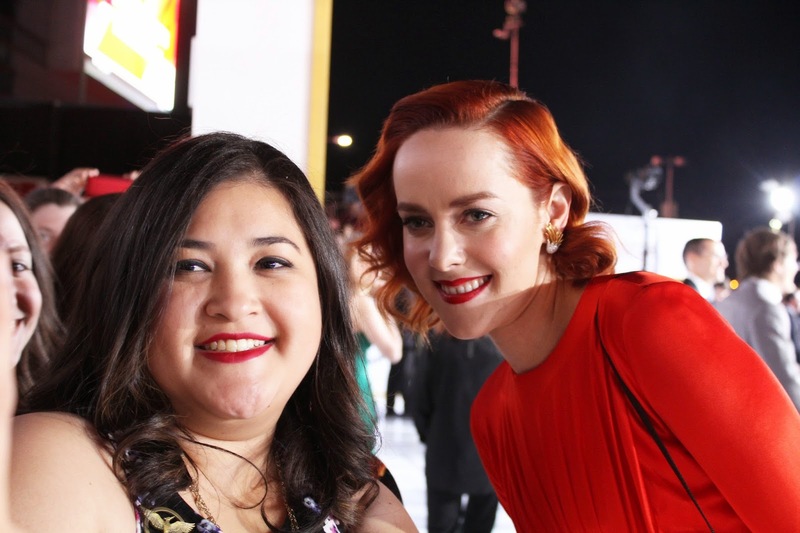 Then after hearing some screaming, I see a vision in a red Emanuel Ungaro dress with bright red hair, Miss Johanna Mason herself - Jena Malone! 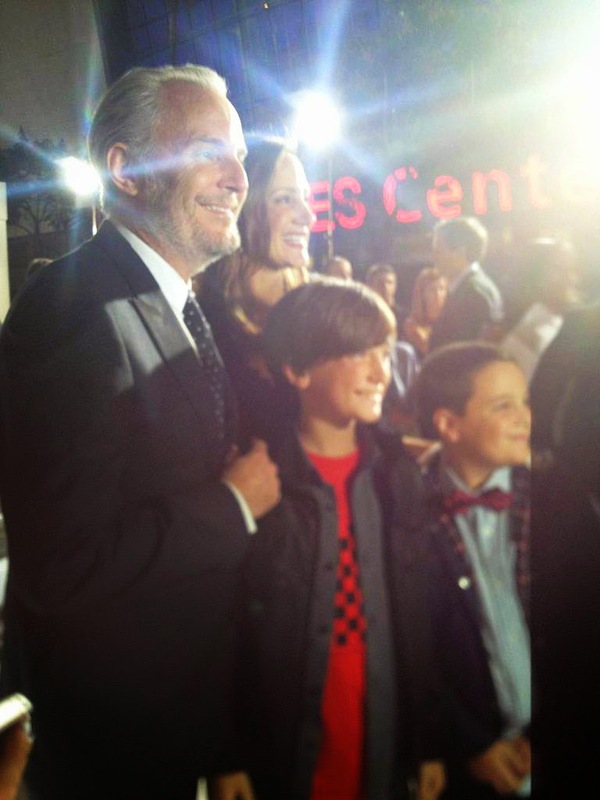 Courtney: Just down the white carpet, Janine, Tiffany, and I were watching the stars walk by in one of the fan pens. Not many people were able to come over to our side, but rockstar Jena Malone wasn't going to let the gold fence bar her way from meeting with fans. Jena ended up climbing THROUGH the fence to come take pictures on our side. 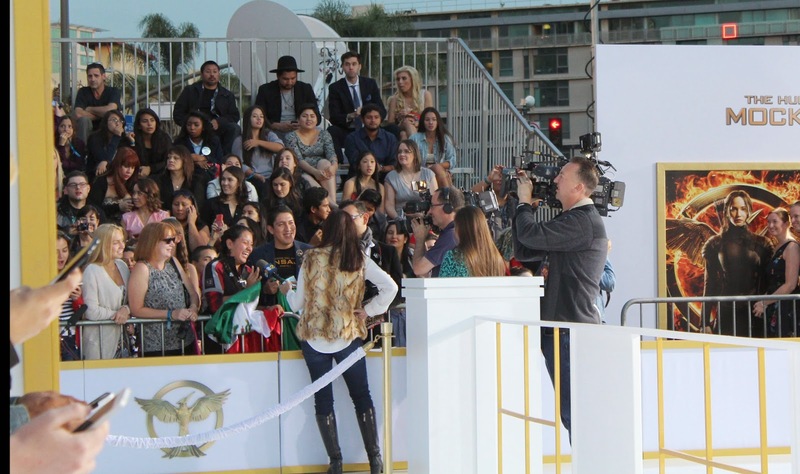 We watched her as she took photos with everyone and even climbing over the fan bleacher barricade on the south side of the carpet. 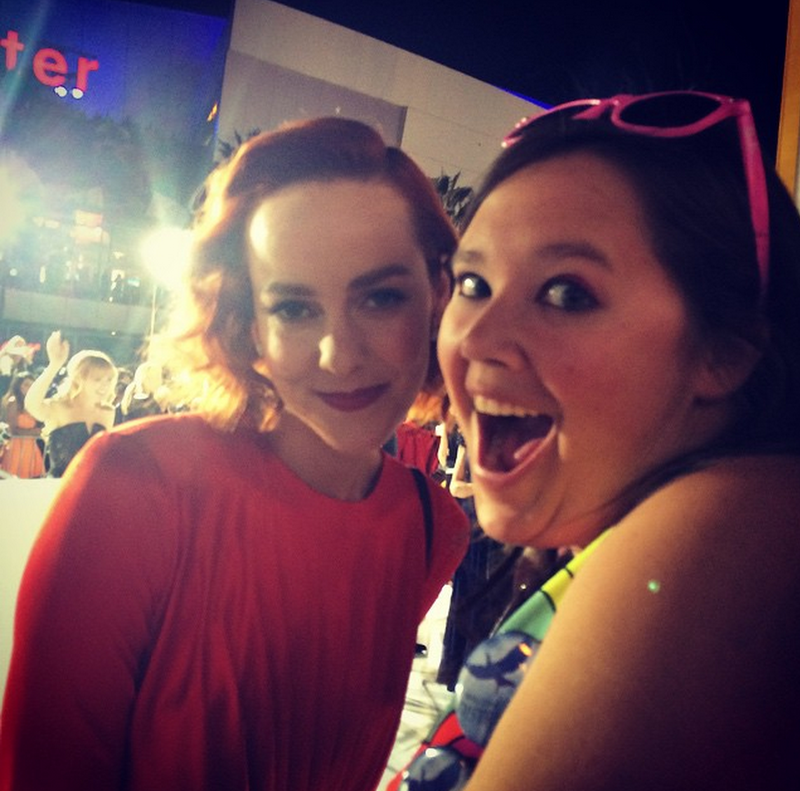 Jena is such a good sport and we were so grateful to her for taking her time to make every fans' day. After Jena, Willow Shields joined the carpet in a beautiful green Christian Siriano gown. We were then joined by another new cast member, Evan Ross, playing Messalla. 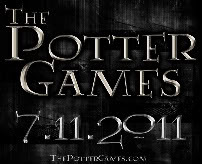 Then the brother to Pollux, Castor! 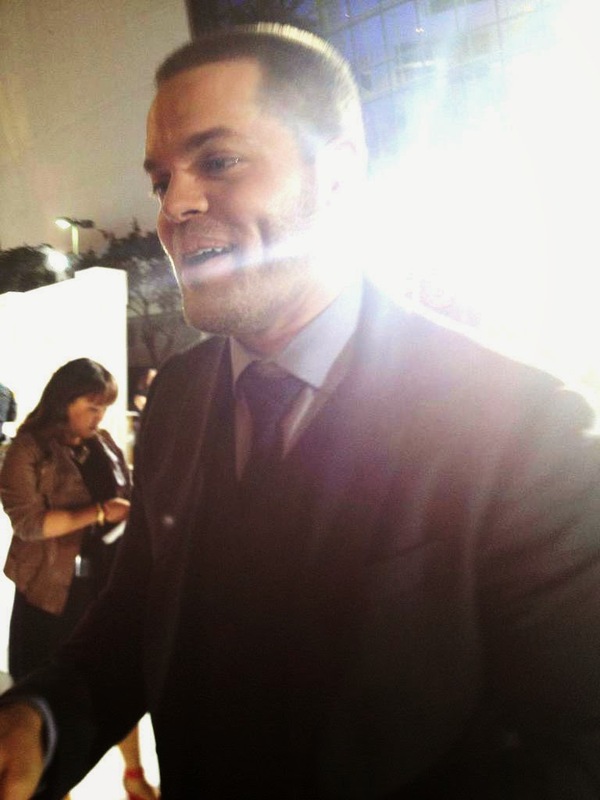 Actor Wes Chatham was hilarious and so sweet! He was beaming constantly and was joined by his beautiful pregnant wife, Jenn Brown. I had to take a selfie with this awesome guy. Then Courtney's father's doppelganger, Jeffrey Wright (aka genius Beetee) was his usual charming self. After Jeffrey's appearance, there was the sound that only a young male actor could cause - the screech of screaming young girls. It was none other than District 4 Tribute, the charming actor Sam Claflin. 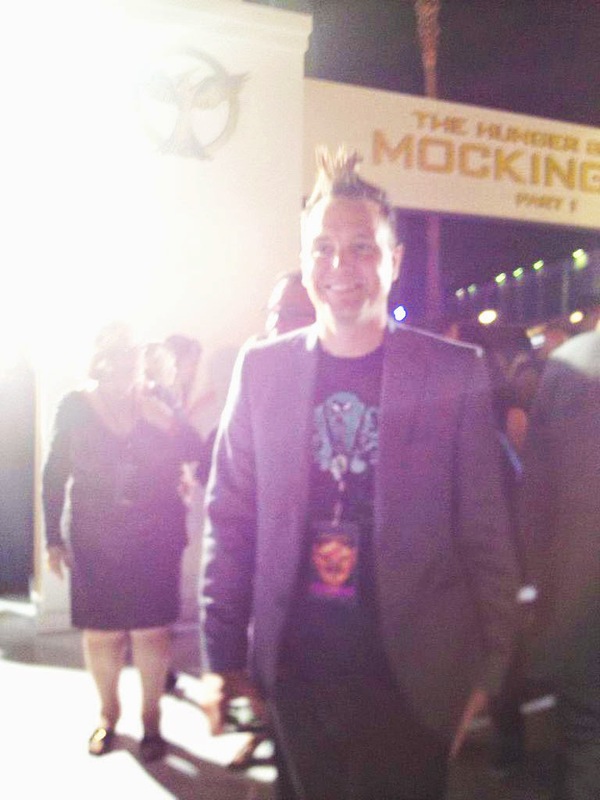 I met him last year at the Catching Fire fan camp and he is just the nicest human being ever, not to mention gorgeous! Not even lying, this is my new Facebook profile pic. Sam stepped away when he saw his onscreen love, the beautiful and sweet Stef Dawson and swept her into a big hug. Sadly they were mobbed by professional cameramen so I did not get this wonderful moment on film. Then the woman who made this entire story possible, the incredible Suzanne Collins! 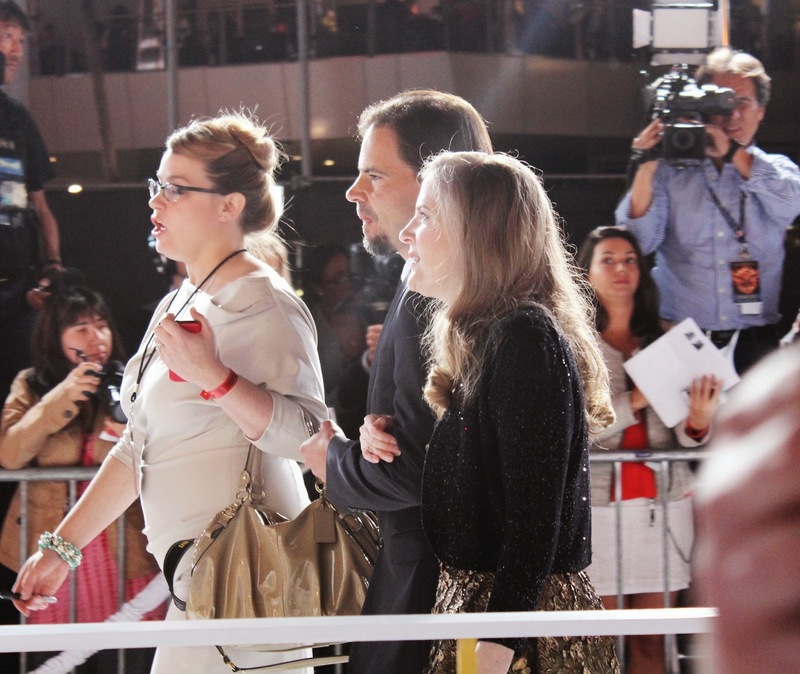 I had to take pictures with producers Nina Jacobson and Jon Kilik for bringing this film to fruition. Sadly my photo with Nina was completely drowned out by bright lights. Then the man that I have legitimately Wayne's World "We're Not Worthy"-ed (seriously Lionsgate filmed Court and I doing this), the man who made the film as amazingly incomparable as they are, director Francis Lawrence! Meta Golding then came into view in a beautiful red gown, sans pointy Enobaria teeth. I was stunned by how beautiful this woman was in person. Then the boy with the bread, thankfully no longer captured by the Capitol, Josh Hutcherson! Poor guy gets all the short jokes, but he's taller than me! Liam Hemsworth then made his way onto the white carpet! So excited to see Gale get more story in Mockingjay. Liam waving to fans high up in the bleachers. The Mockingjay herself! Miss Jennifer Lawrence sparkles in a Christian Dior gown. Then a fantastic duo of ladies, Julianne Moore playing District 13 President Alma Coin and Elizabeth Banks as our favorite Capitol citizen, Effie Trinket, graced us with their amazing presence. Look at that awesome 'do of hers! The real enemy was the next to arrive - President Snow himself, Donald Sutherland! Then the woman I, in particular, was waiting for, the Queen herself, Miss Natalie Dormer! Now I know she's camerawoman Cressida in the films, but as I am a huge Game of Thrones nerd I had to let her know how much of a fan I am of her portrayal as Margaery Tyrell. She is so amazing and incredible that I might have taken about a million pictures of her. How are there so many perfect human beings in this cast? How??? What?? What am I even doing breathing the same air as Natalie? How dare I.
I didn't even recognize Patina Miller from real life to screen because of the crazy transformation she makes in the film. She is so glamourous in person while her on screen character Commander Paylor is too busy being a badass. 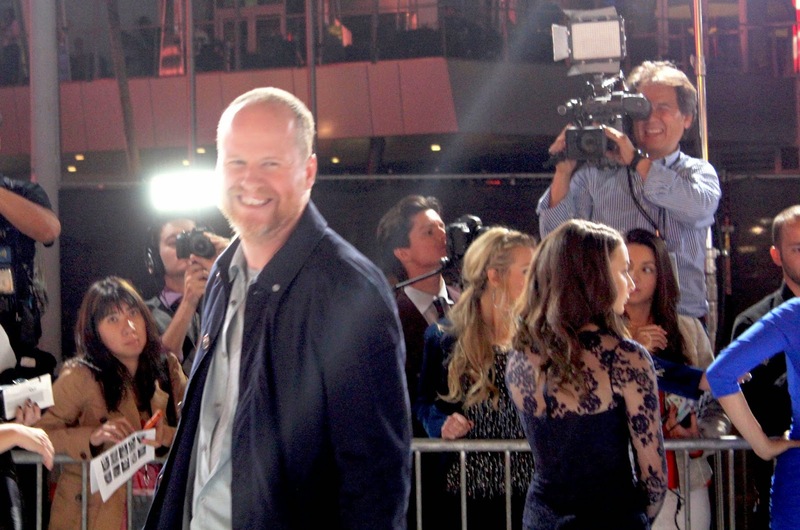 We also got some non Hunger Games related celebrities on the White Carpet! I was so taken aback by seeing him that I yelled "Mark Hoppus!" in his face. I'm pretty sure he knows he's Mark Hoppus. Now as awesome as the HG cast is, DONALD FAISON WAS THERE!!! Pretty sure I can recite Clueless from memory. Now go watch Mockingjay - Part I on opening night or this man will find you and everyone you love.